Effective mathematics instruction and numeracy development are a major focus in classrooms today. The Four Roles of the Numerate Learner introduces a framework (sense maker, skill user, thought communicator, and critical interpreter) that supports an integrated approach to effective mathematics instruction. The book builds on educators’ understanding of how to effectively teach mathematics and borrows from successful frameworks used to teach literacy. It considers the mathematical practices that students need to learn to construct mathematical knowledge, become mathematicians, and simply do mathematics. The goal is to provide multiple entry points into a new world of mathematics instruction—a new way of thinking and learning where students engage in critical thinking about numeracy and act on this knowledge. The framework emphasizes student voice, with many opportunities for them to ask questions, pose problems, explore ideas, and change their thinking about mathematics and the way they see themselves as mathematicians. 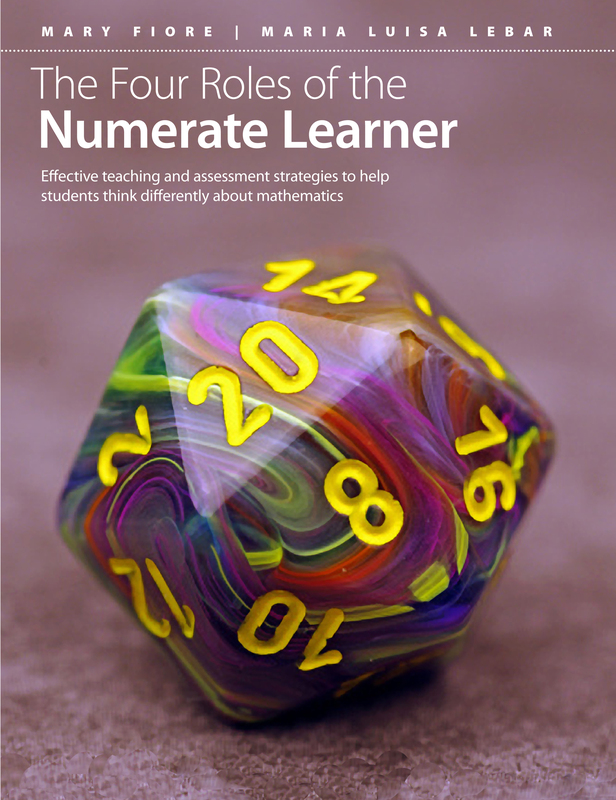 The Four Roles of the Numerate Learner shows new and experienced teachers how to foster and support daily practice that permits students to use their diverse identities to build their mathematical knowledge and incorporate their cultural experiences.